A versatile creative tool for serious engineers and musicians. Stunning high-end sound and incredible versatility are hallmarks of this top-of-the-line, tube-driven channel strip, which integrates an award-winning, boutique-quality preamp; a custom-designed FET compressor; and a custom, four-band, semi-parametric EQ. The ADL 700 boasts frequency response from 10 Hz all the way up to 45 kHz and offers all of the features you’d want in a high-end device. 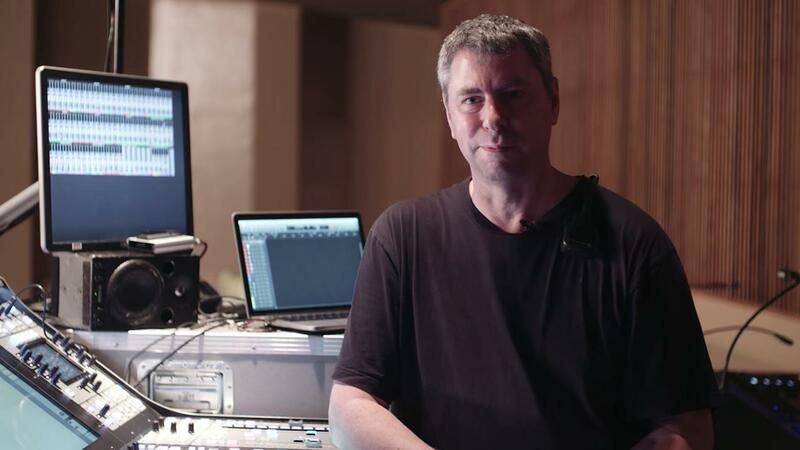 In short, it’s a superb creative tool for serious recording engineers and musicians. Putting the AD in ADL 700. We started with a single-channel version of the award-winning ADL 600 tube preamplifier, which was co-designed by PreSonus and famed tube-circuit designer Anthony DeMaria. The preamp employs a distinctive Class A, discrete design that incorporates two 6922 and one 12AT7 vacuum tubes per channel and operates with ±300V power rails, delivering maximum headroom and superb tone. Its dual-transformer design ensures low-noise operation, with maximum common-mode rejection. 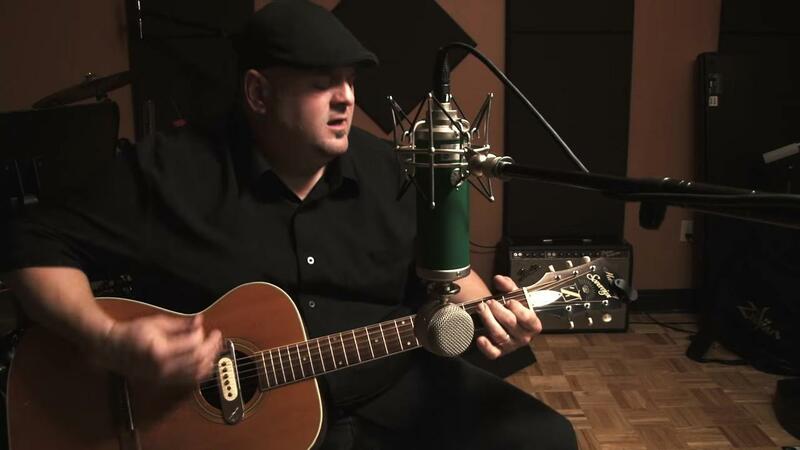 The result is an ultra-quiet tube preamp with a big, warm, smooth, clear, distinctive sound. The ADL 700 preamplifier runs on power rails of ±300V. Most off-the-shelf, op-amp-based designs run on power rails of 10V to 18V. Higher-voltage power rails deliver more headroom, deeper lows, smoother highs, and a richer overall sound. We only use genuine transistors, resistors, and capacitors in the ADL 700 because this provides ultra-low noise and transparency. Op-amps add noise, coloration, and harshness to a signal. You won’t find them in the ADL 700. The ADL700 employs large, high quality, custom-wound, shielded input and output transformers. Among other things, these securely decouple the preamp from the outside world (the mic and the A/D or following devices), which is very important in a high-voltage tube design such as this one. The ADL 700’s Cinemag input transformer sets the stage for the preamp’s nearly ruler-flat/linear and detailed sound; the rest of the preamp amplifies what the Cinemag delivers. No other input transformer sounds like the Cinemag does—and we tried others. Flexible I/O so you can use it with virtually any source. 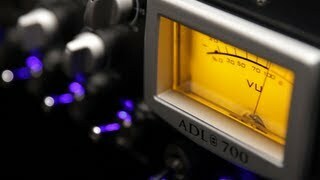 Beyond superb sound quality, the ADL 700’s preamp is special because of its ease of use and flexibility. It starts with separate, balanced XLR mic, balanced XLR line, and ¼” TS instrument inputs and a single, balanced XLR output. An Input Source Select switch enables you to leave your signal sources connected at all times and choose among sources, patching the selected input through the signal chain and completely bypassing the other two inputs. Microphone input gain is variable, and you can select among four mic-input impedances, so the preamp works great with any type of microphone. Variable output lets you easily set an optimal gain structure. Learn more about variable input impedance and input gain. The FET compressor: Clean, reliable, fast, and repeatable. 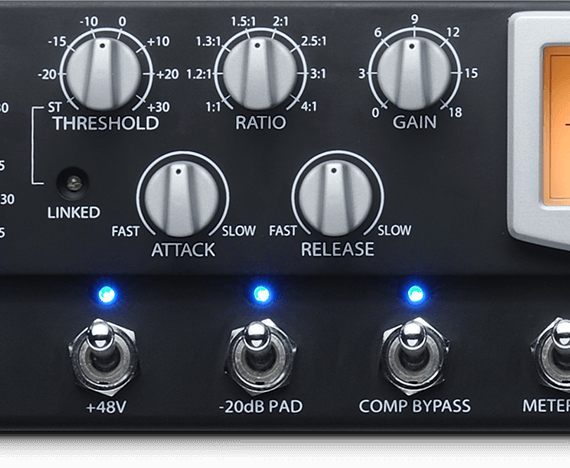 Custom-designed to work with the ADL tube preamp and EQ, the ADL 700’s FET (Field-Effect Transistor) compressor includes fully variable attack, release, threshold, ratio, makeup gain, and bypass controls and employs a soft-knee compression curve. FET compressors tend be very clean and reliable and provide a faster attack time and better repeatability than the optical compressors that are more commonly found in channel strips in this price class. You can even stereo-link the compressors of two ADL 700s for more accurate stereo imaging. Broadly speaking, there are four types of analog compressor designs: those that use opto-isolators (optical), Field-Effect Transistors (FETs), voltage-controlled amplifiers (VCAs; an example is the PreSonus Studio Channel compressor), and variable-gain compressors. Each has its uses, but we’re going to focus on the two types you’re most likely to find on today’s high-end channel strips: optical and FET. FET compressors use a special transistor to vary gain, emulating a triode tube’s operation and sound. Inherently high-impedance devices, FET compressors tend be very clean and reliable and provide a faster attack time and better repeatability than the optical compressors that are more commonly found in channel strips in this price class. However, aside from having a distinctive sound, optical compressors have drawbacks. Most notably, when the components in an optical compressor heat up or cool down, the resulting attack and release times can change considerably. That means you might not get consistent results—even on, say, multiple snare hits in the same song. In contrast, FET compressors are not susceptible to temperature fluctuations, so they provide consistent, repeatable results. An EQ that’s custom-designed with musicality in mind. 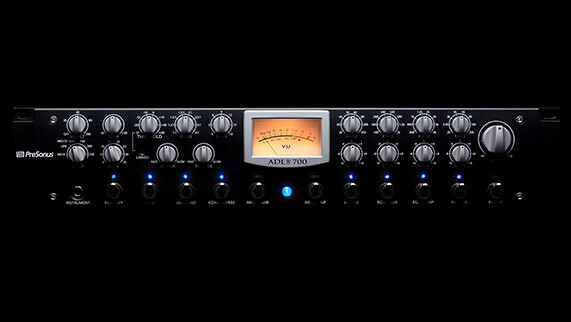 The ADL 700’s 4-band semi-parametric EQ was designed to match the preamp and compressor. It combines isolated filters and optimized, per-band Q to provide subtle signal-shaping without harsh artifacts. All bands have Gain (±16 dB) and Frequency controls, with overlapping frequency ranges and fixed Q (0.55). The low and high bands are switchable between shelving and peak. Designed with musicality in mind, it’s smooth and refined and can produce plenty of low end in Peak mode. Flexible features let you work the way you want. We've given the ADL 700 flexible features that let you work the way you want to. Use the compressor before or after the EQ in the signal chain and independently bypass either or both. You get a variable highpass filter; fast-acting, eight-segment LED meters; a large, backlit, dual-mode analog VU meter for monitoring output and gain-reduction; and much more. To top it off, if you get two ADL 700s, you can stereo-link the two compressor sections for stereo processing. 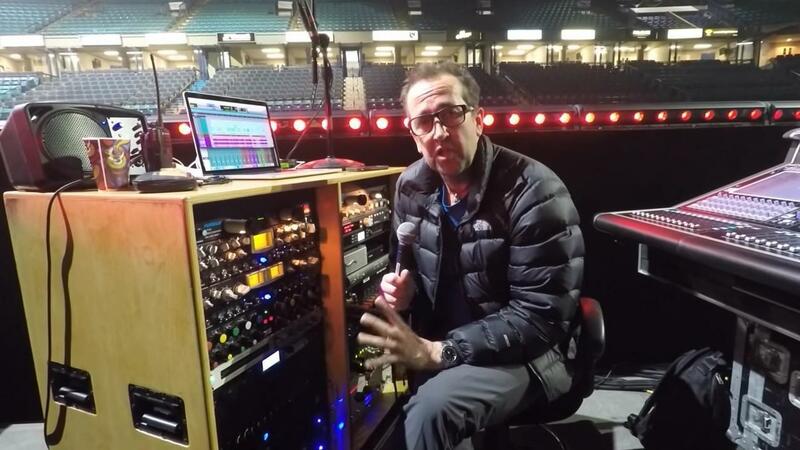 So head down to a PreSonus Signature Dealer and check out the ADL 700 for yourself!